Casa La Rosilla, traditional, rural Spanish Finca in the Axarquia, Andalucia. 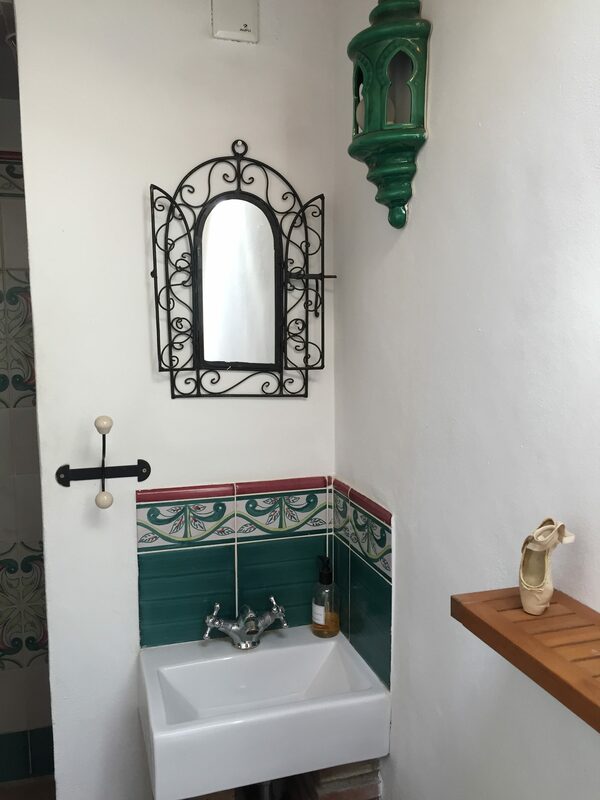 Come and experience rural Spain, and enjoy a relaxing holiday at La Rosilla, our luxury Spanish mountainside villa, in the rural picturesque hamlet of Solano. 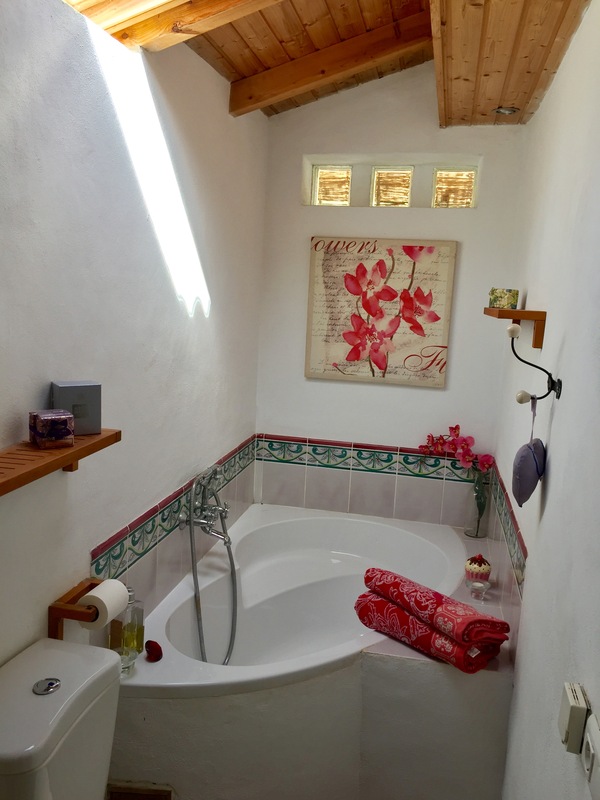 La Rosilla is a traditional ‘Finca’ with much rustic charm, together with all the comforts of modern day living. La Rosilla offers spacious luxury double/twin ensuite bedroom with every modern appliance. 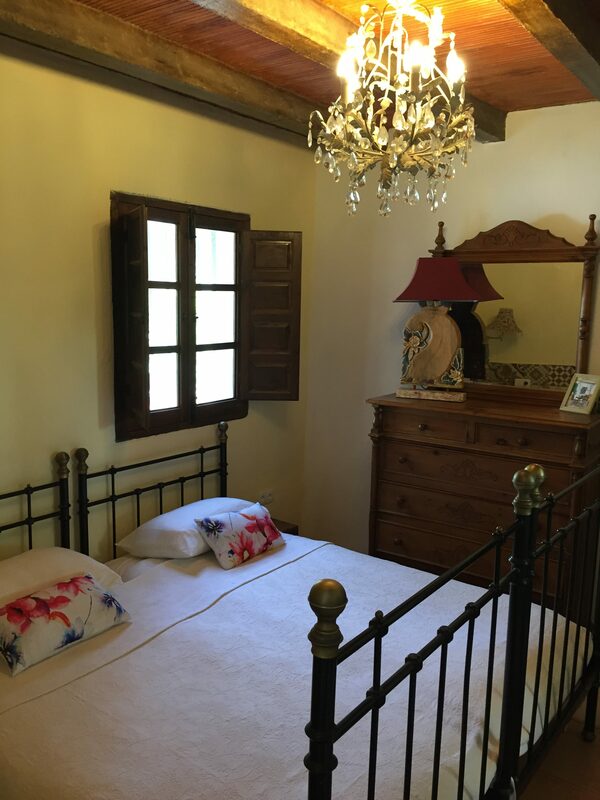 All rooms are tastefully decorated with beautiful furniture and paintings, tiled floors throughout & wooden original doors & windows. Patio doors lead to many terraces to enjoy the views, rest & dine. 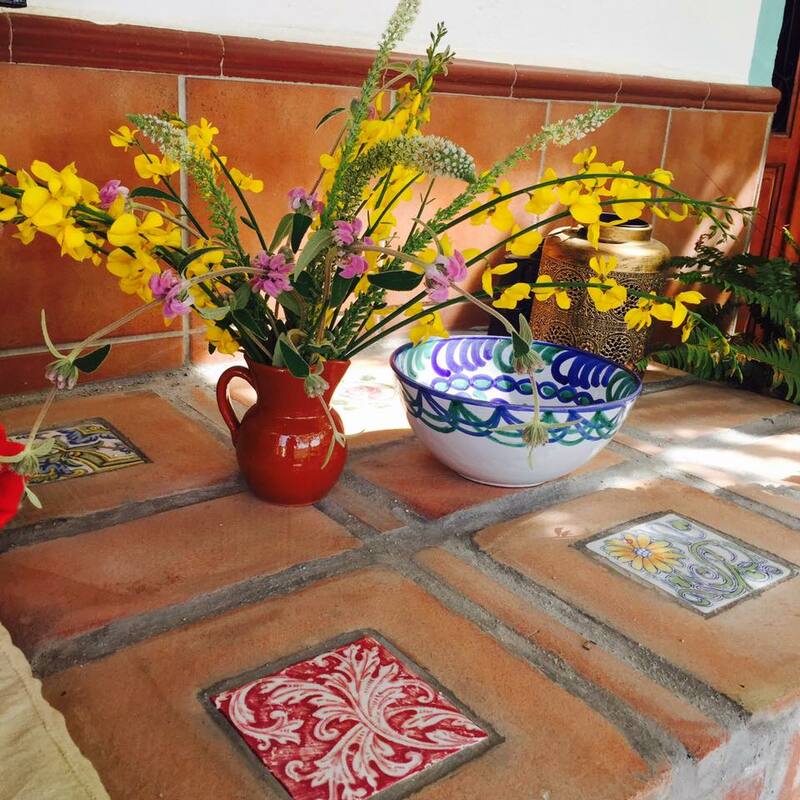 A holiday at La Rosilla will give you a chance to unwind and soak up the atmosphere of this truly beautiful location. Located at the end of a private track, nestled in a dell, with uninterrupted views of the mountains beyond. Situated within its own 6000 sqm of Olive and Almond groves. La Rosilla has many terraces, to take in all the views, sunbathe, take some shade, dine and just chill out at your leisure. This is our home, with family and pets and we offer, accommodation for 2. We have luxury loungers to enjoy the sun, an outside bbq area and kitchen with a wine fridge. A plunge pool, to enjoy and escape the heat, or to sit in under the stars whilst enjoying a glass of vino. La Rosilla is surrounded by extensive terraces, and beautiful large pergola covered in a wonderful fruiting grapevine. 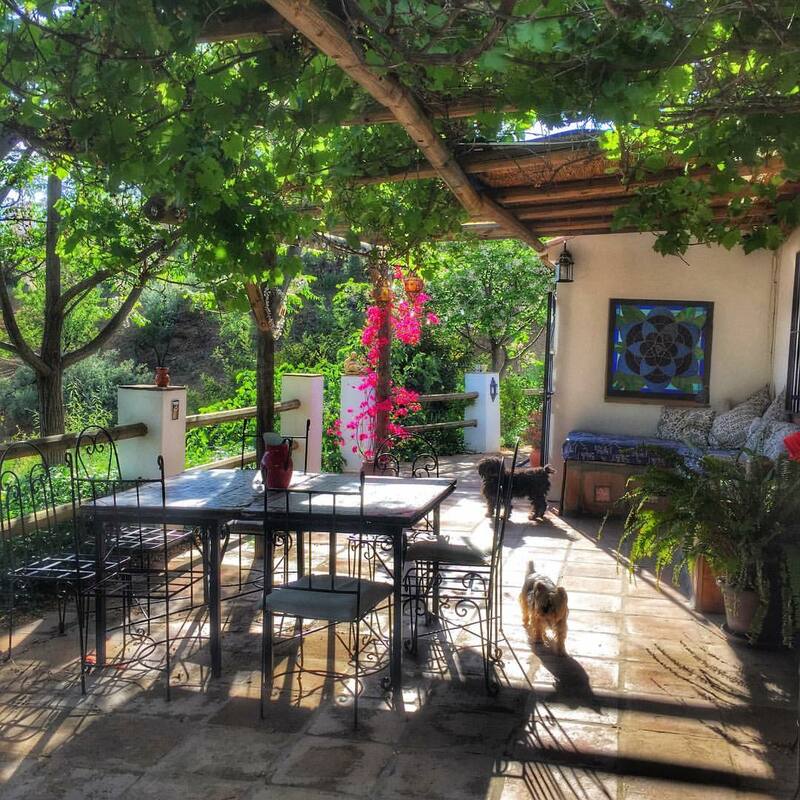 The house is nestled into the mountain, with almond & olive trees, fig & fruit trees. The natural landscape & terrain is totally unspoiled. You can experience the joys of mountain living. *Bed & Breakfast & gourmet Private dinner with Welcome drink, wine & beer. Why not treat yourselves to the complete Gourmet Tour ? To check availability contact us here.